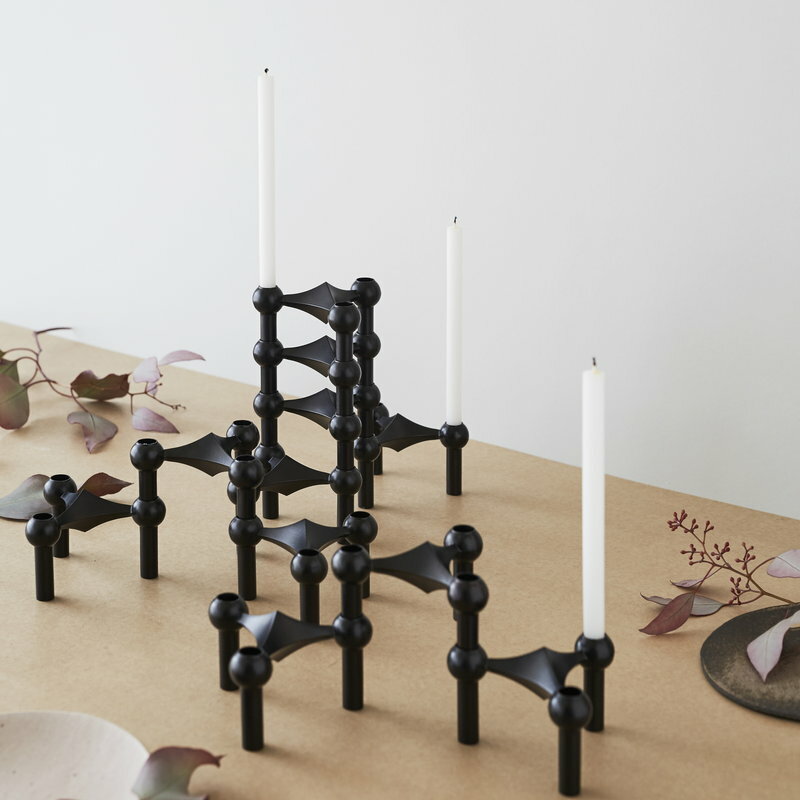 Danish STOFF Copenhagen has relaunched the elegant STOFF Nagel candleholder designed by architect Werner Stoff for metalworker Hans Nagel in the 1960s. Nagel got the idea for the candleholder after tumbling into snow at a skiing vacation in the Alps – the three finger-holes in the snow later turned into the triangular shape of STOFF Nagel. 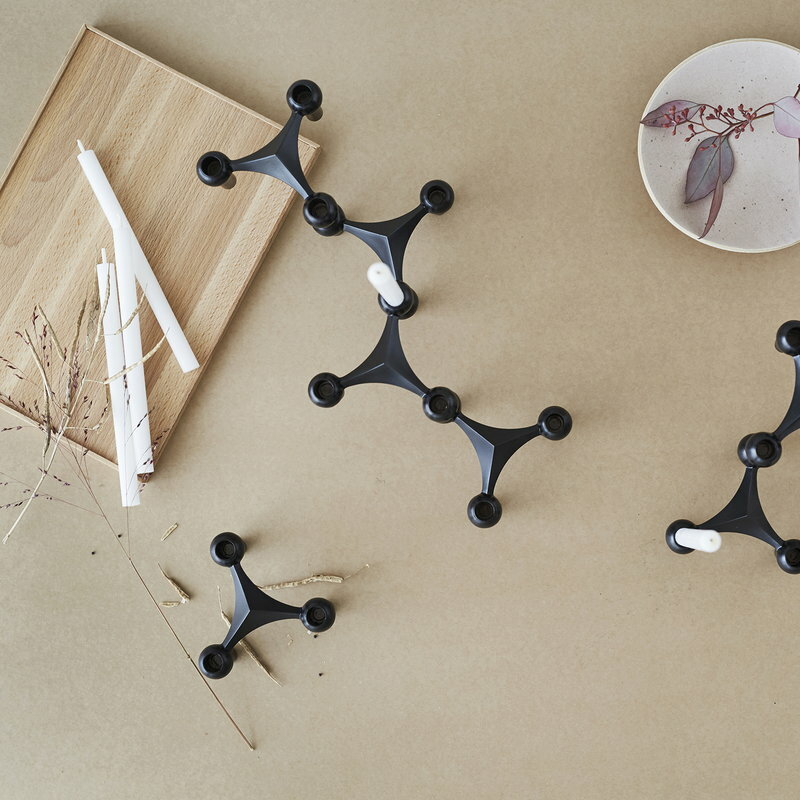 The modular candleholders can be combined into beautiful, sculptural constructions that will catch the eye with and without candles. 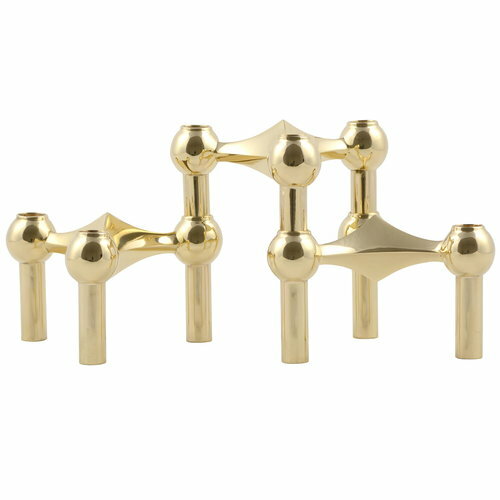 The package includes three stackable candleholders.